IBM's X-Force Threat Intelligence Index details the spread of ransomware in 2017. As cybercriminals shifted their focus to ransomware and other destructive attacks, the number of records breached dropped nearly 25 per cent in 2017 according to the recently released 2018 IBM X-Force Threat Intelligence Index. Over the course of last year, 2.9bn records were reported breached as opposed to in 2016 when cybercriminals disclosed four billion records. The drop in breaches was attributed to cybercriminals choosing to employ ransomware as their main attack method as WannaCry, NotPetya and Bad Rabbit caused chaos across a number of industries. "While breached records are a good indication of cybercriminal activity, it doesn't tell the full story of 2017. Last year, there was a clear focus by criminals to lock or delete data, not just steal it, through ransomware attacks. These attacks are not quantified by records breached, but have proven to be just as, if not more, costly to organizations than a traditional data breach. The ability to anticipate these attacks and be prepared will be critical as cybercriminals will continue to evolve their tactics to what proves most lucrative." 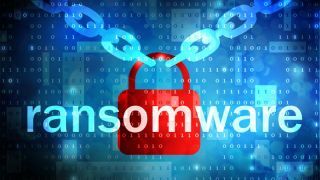 Ransomware attacks made headlines last year as cybercriminals took over and locked critical infrastructure in healthcare, transportation, logistics and other industries. Overall these attacks cost organizations over $8bn last year as hackers moved from compromising stored records to locking critical data essential to everyday business operations. IBM Security also found that human error still remains a weak link with misconfigured cloud infrastructure responsible for almost 70 per cent of the compromised records tracked by IBM X-Force in 2017. The report showed that cybercriminals have become increasingly aware of the existence of misconfigured cloud servers and are using this knowledge to their benefit with a historic 424 per cent increase in records breached as a result of misconfigurations in cloud servers. The full 2018 IBM X-Force Threat Index has been made available by IBM and the report offers tremendous insights to security professionals looking to safeguard their organisations from ransomware and other growing threats.